So the thought of opening a web shop was (and still is) daunting. My mind is fixated on my family, my soon to be new daughter and goods making but I thought that I needed something that I could point people to when asked. I am not a writer, I am not a technology focused person. Even though technology surrounds us and honestly, I need and use it everyday, I don't particularly like it. What I like is making things. 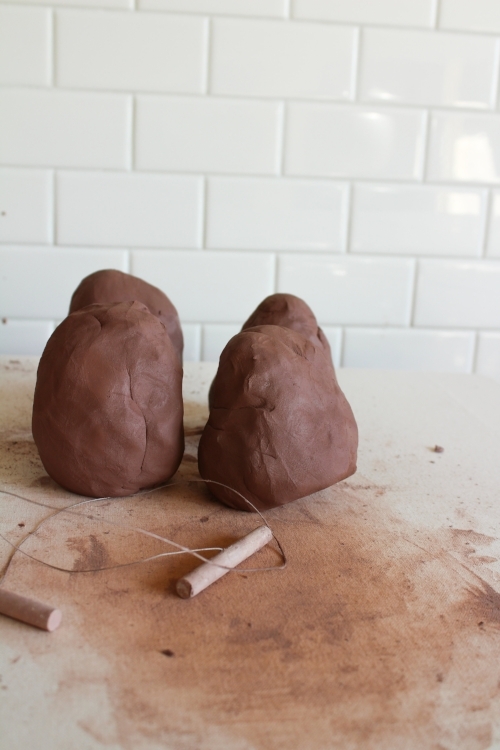 I like having my hands in clay, I like being dirty and I like the thought that the stuff that I make people enjoy. I like the process. Everything about our modern internet is supposed to make things easier but making this website has been challenging for me. When I finally uploaded the last photo and edited the last bit of content I realized it's not the website that is challenging. It's not the design that's the hard part. What's difficult for me is the separation of myself from the things that fill this website. The making part. After a wonderful day of selling at a market last year I was talking to my wife about how much fun we were having and she said something that has stuck with me. My wife turned to me and said "Yeah, that was pretty fun but it's more than that." I was curious about the statement and prodded for more, thinking that at that moment she was going a little too deep for the situation. I thought it was quite odd that as we were cleaning up from an all day event in 100 degree heat that she was going philosophical on me. Maybe it was the heat? She continued "How cool is it that some guy came up secretly to the booth to buy his wife a Christmas present? She has wanted that vase for months and on Christmas morning he is going to surprise her with something that you made. That is really special." That's when I realized what I do is important. Even though my little studio is small, my pottery is tiny and I do it all myself. What I do is important. It does brighten peoples lives. It does surprise people at special occasions. I am going to try my best to keep everyone up to date on my site about happenings at the studio. I'm going to make posts about new updates, the process and tidbits about my family (which is changing VERY soon). I hope that you all enjoy and when my hands aren't dirty I'll do whatever I can to share with you all.